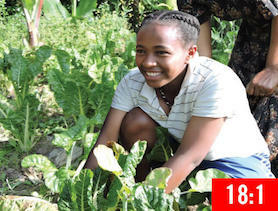 At just 13, Sewnet has already seen how food insecurity has forced girls in her community to leave home. In her community of Kewot Woreda, most families farm a small plot of land, which in many cases does not yield enough to feed families year round. Growing up, hunger was often a challenge for the family. Then the drought came. As crops failed and food shortages worsened, some of Sewnet’s young friends were forced to drop out of school and migrate to other countries to work as maids and nannies. She understands why that happens. “I think it is to change their living conditions through the income they generate in other countries,” she says. Children who migrate alone are at greater risk of abduction, early marriage and trafficking. The decision to send a child abroad is one that no parent wants to make unless forced to. Two years ago, Worknesh found herself facing this impossible choice. 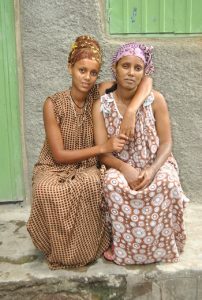 Worknesh, right, will not allow her 13-year-old daughter Sewnet to go abroad to work. Despite the dangers of sending Sewnet abroad, there was a time when Worknesh had to consider the possibility. 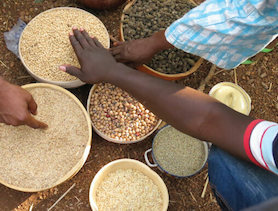 The family depended on farming crops like sorghum to earn a living, and just like the rest of the community, they were badly affected by the drought. With three children to support, Worknesh weighed her options carefully. If Sewnet went away to work, she could help support her family with the income she earned. She could send money to buy basic necessities and her siblings would be able to go to school. But it was not the future she wanted for her bright young daughter, who dreamed of becoming a doctor. When Worknesh became involved in a CFTC supported bee-keeping program in her community, she began to have hope. 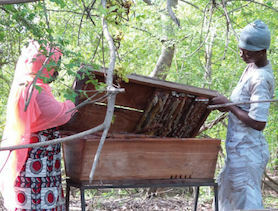 Through the program, she received modern beehives and accessories, as well as training on bee rearing. She teamed up with other beekeepers in her community to form a cooperative to help grow their honey production business. This year, she harvested 58 kg of honey, and her income increased significantly. Today, the family lives on the proceeds from the crops they grow, like sorghum and maize, as well as selling honey, wax and vegetables. 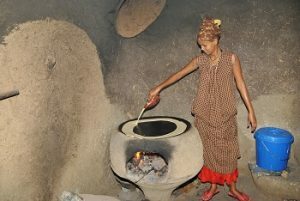 Sewnet prepares injera bread for her family. Now that there is enough to eat, she does not have to leave home. For Sewnet, home is exactly where she wants to be. Her dream is to become an obstetrician to help mothers and infants stay healthy during pregnancy and beyond. That’s why she studies hard to excel in biology and chemistry – and why she is so determined to stay in school. She also has dreams for her community. She wants girls especially to stay in school and realize their full potential. She wants young people to have economic opportunities in the rural community they live in, without having to go abroad. Most of all, she wants her community to stay together. You can help girls like Sewnet avoid migration due to hunger. Learn how you can help support our Ethiopia programs.